Partnership to be celebrated as Mayor of Freetown comes to the city. Hull is set to celebrate its partnership with Freetown, Sierra Leone, as the Mayor of Freetown visits the city. 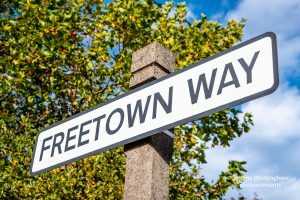 Yvonne Aki-Sawyerr, Mayor of Freetown, will talk about her hopes and vision for the future of her city, and for the ongoing partnership between the twinned cities, at a celebration event hosted by the Freetown Society. Those attending will also be able to find out more about the many thriving Hull Freetown partnerships, as well as sample home cooked Sierra Leonean food and sing and dance to music by Cecil Jones. Hull City Council Flood Risk Planning Manager, Rachel Glossop, and the City Planning Manager, Alex Codd will also be speaking about their recent visit to Freetown and flood resilience work taking place. The event will be at the Guildhall on Tuesday 23 October at 6.15pm and is open to anyone who would like to come along. Be the first to comment on "Partnership to be celebrated as Mayor of Freetown comes to the city."